This year sees 7formation celebrating its tenth anniversary and having been created in the midst of a recession, the Corby-based fit out contractor has since gone onto develop a leading reputation within the marketplace. 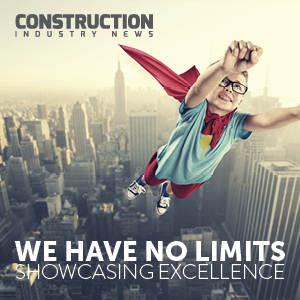 This has been thanks to an approach that combines grit and determination with an unrelenting commitment to quality, as Steve Rowell, Managing Director, recently outlined to Construction Industry News. The wisdom of this strategy has seen 7formation branch out into a growing number of sectors including leisure and hotel, while most recently it has got into dilapidations work. “Retail was our bread and butter for a number of years but by bringing in the appropriate personnel we have been able to transfer our skills into new areas. It has also enabled us to develop relationships with clients, such as Pure Gym, that we have carried out a growing portfolio of work for as they’ve grown. “In terms of expanding the team, we have tended to target people that we have worked with before or know of already in some capacity. This is because we operate very much like a small tight-knit family and it’s imperative that every member of staff is able to work well together. Having the same ethos and strong work principles that we’ve built the company on is very important. We’d rather wait for the right person to become available than risk jeopardising what we’ve worked so hard to put together. This unwillingness to compromise has been a major factor in 7formation’s success, with its Corby location also being advantageous in terms of accessibility to all four corners of the UK. “We operate nationwide and would have no problem working as far north as Inverness, as far south as Land’s End and as far west as Wales. We haven’t ventured into Ireland yet but only because our clients haven’t required us to yet. It’s certainly something we would consider. “We’re all about building long-lasting relationships with our customer base and we’ll always be prepared to go where they need us to be. For example, we carry out a great deal of retail work for Saint-Gobain, who own Jewsons, CTD and Grahams. “We recently completed a particularly nice project for St Gobain at their Royston site. This included a total re-work of their existing layout to accommodate the main brands, a design that allows the customer to move freely from building and plumbing materials to a purpose-built Kitchen and bathroom showroom. This one-stop-offering is becoming an increasingly popular approach within retailing. The store traded and remained fully operational throughout the project which required careful and sympathetic phasing, working closely with the St Gobain team in an effort to maintain trading levels and more importantly provide a safe environment for both staff and shoppers. This emphasis on accommodating its clients and going that extra mile for them (sometimes literally) mirrors 7formation’s customer-focused approach, which is based on consistently delivering a high quality final product. “We’re always willing to jump through hoops for the client when we’re required to and as a result we enjoy excellent rates of repeat business,” outlines Mr Rowell. “I’d go as far to say that I can’t think of a single client that we’ve ever lost, instead continually building our customer base. This has helped keep us in excellent financial shape and from the money put in by the seven original investors, which is where we got the name of the company from, we’ve not once had to borrow from the bank or even use an overdraft. Despite the impressive upturn in fortunes that 7formation has enjoyed since the recession, the company is in no mood to get complacent and is already looking at the challenges that may come ahead in the next decade for the business. “Even with the diversification we’ve seen in recent years, retail-related contracts remain a significant proportion of our workload. This is something that we need to address as retail clearly isn’t going to keep us as busy in the next ten years. It’s a sector that is going to change dramatically, particularly with online shopping becoming increasingly important for consumers. The key, therefore, is to keep adapting our skills set and evolving our offering to allow us to develop our non-retail work, such as hotel and leisure contracts, while at the same time striving to identify other sectors that we could move into. “In terms of hotel work, we’re currently involved in a lovely project at Watford: The Mercure Hunton Park Hotel, which is a beautiful period building set in its own grounds. We are carrying out all the room refurbishments and the front of house renovations including the creation of a new reception area. It’s a very high-end development and is due to be handed over very soon.